Screwpop’s makes an entire line of keychain tools but the pick of the litter is their Utility Knife. This wafer thin utility blade holder is barely larger than a stick of gum but it has more features than standard sized utility knives. 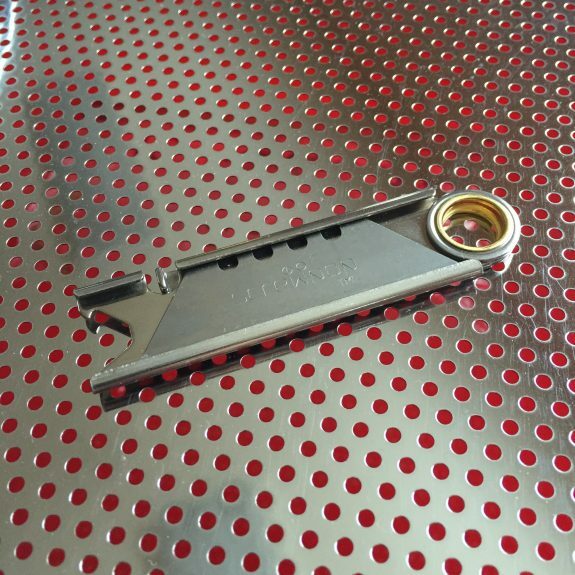 The Screwpop Utility Knife features a lever lock that retains the blade inside the holder and allows you to set the amount of blade that protrudes from the holder by locking it into the notches on the spine of standard utility blades (the use of standard blades is a huge positive for this tool). It also has a small magnet that allows you to stick the Utility Knife to a ferrous surface and serves to keep the blade from rattling a bit. This handy little widget also features a bottle opener that can be used when the blade is retracted. I have purchased a few of these over the years. I keep one in my pocket because it works well with the “public knife” concept that we have discussed on this blog before. I also tend to keep one in my EDC tool kit. I carry a knife everyday but there are a lot things I would rather cut with a disposable blade than my favorite EDC knife. Thanks to its small and thin form factor, it fits The EDC Tool Roll easily. Where to Buy: The Screwpop Utility Knife can sometimes be found in big box stores and you will likely save as much as a dollar by buying it locally if you can find one. The good news is that even if you can’t find them locally several online retailers have them and they are cheap. I bought my last two on Amazon because I can’t find them locally here. Alternatives: If you are looking for a high class alternative, the Rexford Knives RUT is an amazing little tool. Do you have an EDC-sized Utility Knife that you prefer? Do you have another tool you think we should know about? Tell us about it below. We’ve spent time talking about some tools. 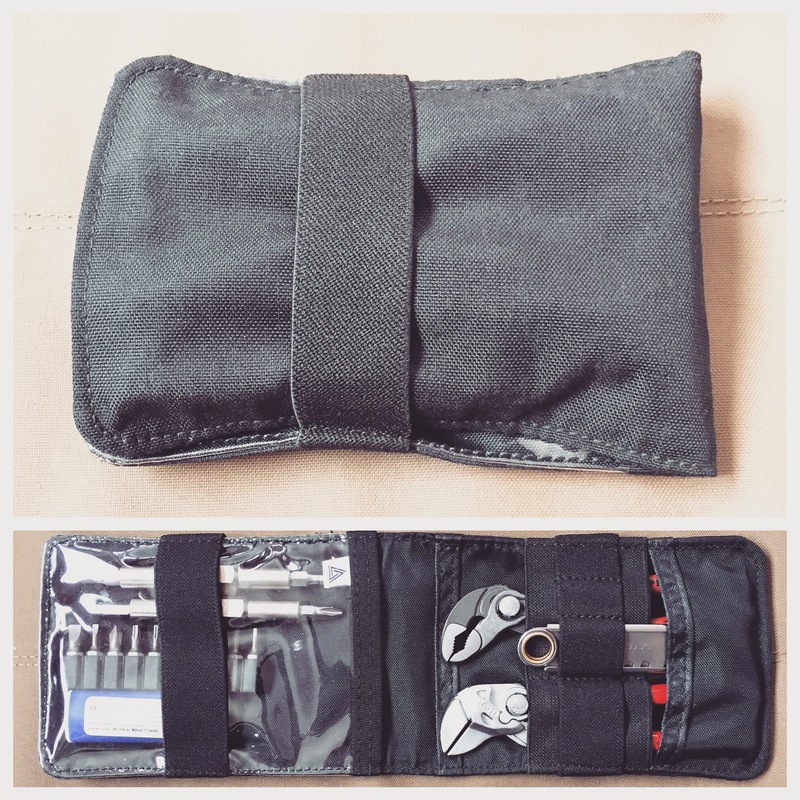 It’s about time we started talking about the tool roll. I use a Micro Kit from Triple Seven Gear as my EDC Tool Roll. I’ve used Triple Seven Gear products going all the way back to their original Mini Kit Mk-7 and own at least one of everything they make (and several of a few products). The Micro Kit is ideal for me because the size is just right – small enough to carry but big enough to fit what I need. It is compact enough to fit in a coat pocket, back pocket of jeans, or even some front pockets. It does not require a large cargo pocket to be carried. In spite of that compact size, the Micro Kit can pack and organize a lot of tools. It folds to about 4″ x 6″ when closed and can be secured with a simple elastic loop. I like that there are no zippers or hook and loop to limit how I stuff the pouch. 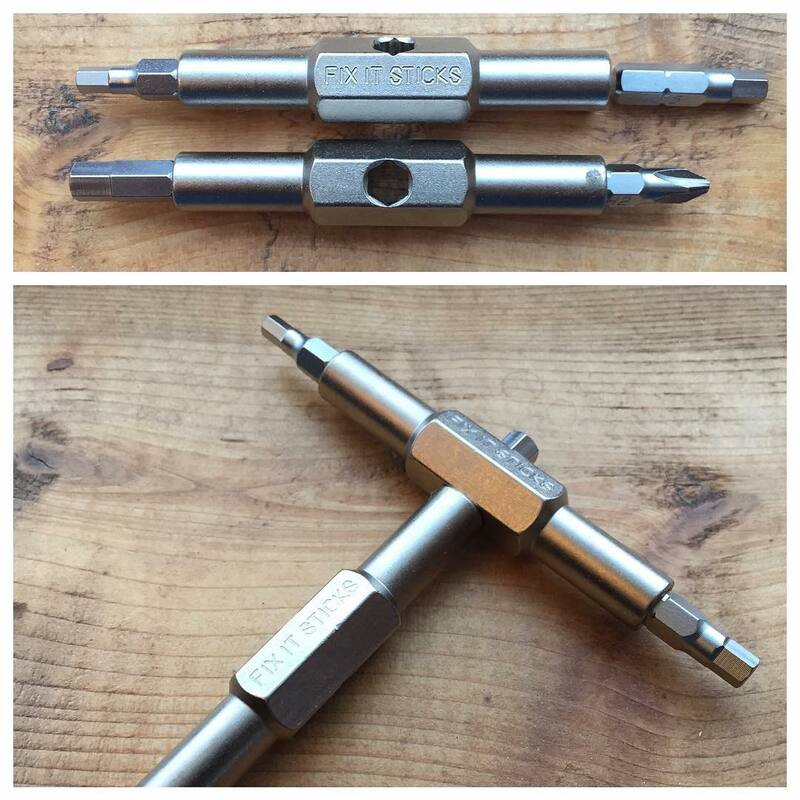 When open, it lays completely flat and gives good visibility to the tools contained inside. I can even turn it “inside-out” so that it fits in my pocket but still offers access to the tools. The elastic loops can fit a variety of tools and anything that does fit well in the loops can be stashed in one of the pockets. The clear vinyl window is particularly useful for stashing small items that you want to be able to see. You can check out the Micro Kit (or Mini Kit Mk-7 if you need a larger version) at Triple Seven Gear. Do you have an EDC-capable tool organizer that you prefer or have you made your own? Tell us about it below. The genesis of this series, The EDC Tool Roll, was my frustration at my multi-tools for never quite being the right tool. 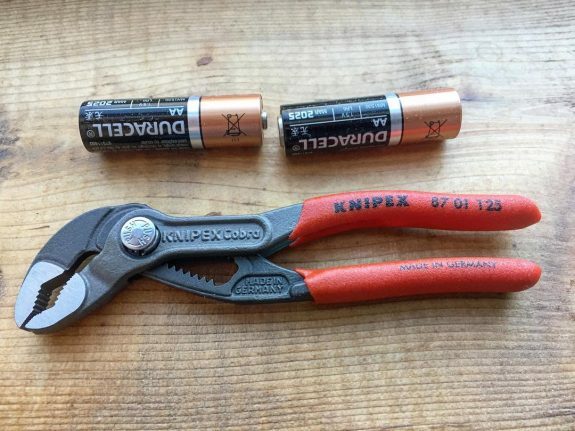 Sure, they will do a lot, but sometimes you just need a real tool which started my quest to build a pocketable tool kit. My search for a screw driver that was both a real tool and yet still compact enough to work in this pocketable kit lead me to Fix It Sticks. The Replaceable Fix It Sticks are comprised of two separate sections that can be used individually as a small driver for tight spaces or together to form a t-handle driver. Each of the two sections can hold a standard 1/4″ bit at each end meaning I can keep 4 bits of my choosing on the tool, ready to use. I also carry a small assortment of bits for the fasteners that I am likely to encounter. I tried several other drivers before settling on the Fix It Sticks. Most interchangable bit drivers were too large. Others were pocketable but lacked reach or were too small to apply a decent amount of torque comfortably. The Fix It Sticks, with their take-down format split that difference beautifully. They pack small but function much like a full size tool. Fix It Sticks are made in the USA and available in a number of configurations. I like the Replacables for EDC and purchased mine from Amazon. They also makes these in kit form specifically for shooters with slick options like in-line torque limiters. Those kits are available at Tactical Works. Of all the tools I added to my kit, the screwdriver was the hardest to finally settle on so I will be interested to hear what you carry. If you have an EDC worth driver that you prefer, comment below. 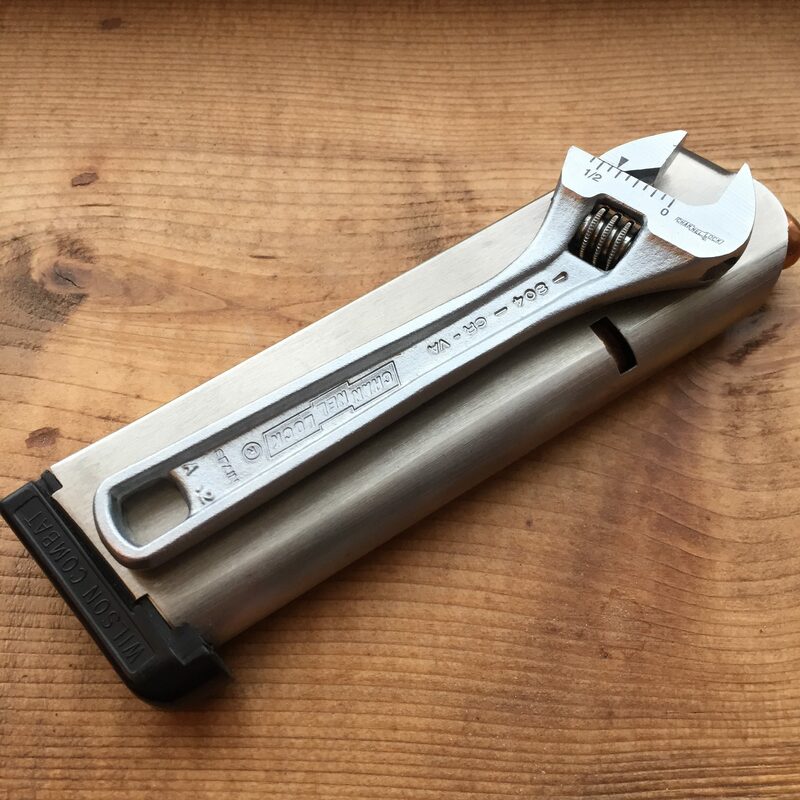 The Lobster Shorty Adjustable Wrench (UM24SS) is a compact adjustable wrench that is well suited to everyday carry. The wrench is just over 4.5″ in length but has large jaws that can open wide enough to handle a 1″ diameter nut or bolt. These drop forged steel wrenches have had great care taken to ensure that they remain light weight. The handle has been fluted and skeletonized and the jaws are tapered, relatively thin, and fluted to removed weight. Those thin jaws are part of why I prefer this wrench over other adjustable wrenches I have tried. 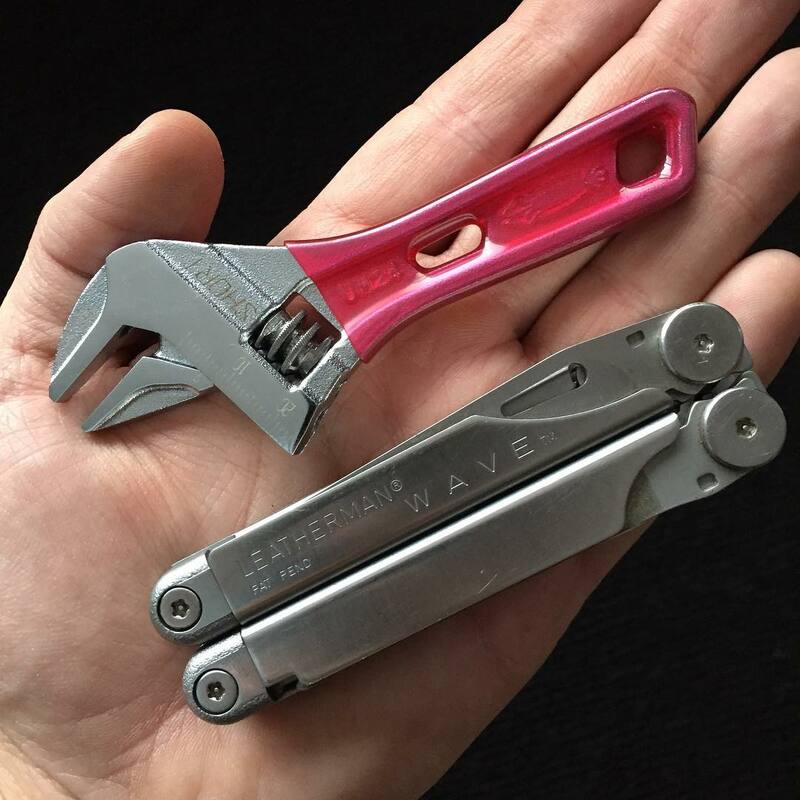 Cheap adjustable wrenches often have chunky jaws that are difficult to use on small fasteners. The Lobster Shorty is available with a number of different colored handles. Be advised that the “red” handle color (shown) looks more pink in person. These wrenches are made in Japan and usually imported. I ordered mine through Amazon but they are also available from a number of sellers on Ebay. I’ve never found a local, brick & mortar source for them. 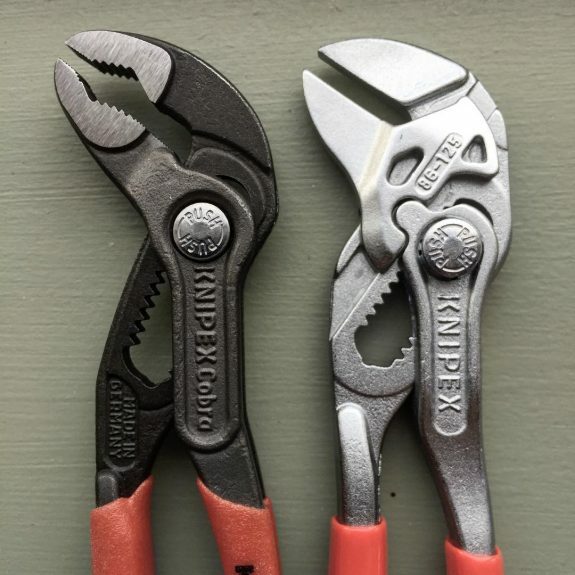 If you are looking for an alternative, consider the Channellock 804 (chrome) or 804N (black oxide). You are likely to find them locally, they are more affordable, very compact, and made in Spain. I’ll profile one in a future edition of The EDC Tool Roll. I always try to keep a small set of scissors handy because they are useful for everything from gear repairs to first aid. The problem is that most small scissors are either expensive or junk (or both). They either lack the durability necessary to be useful or they are impossible to use if you have normal sized hands. A few years ago, I was going through a box of stuff and found a couple of Victorinox SwissCards that I used to keep tucked in some EDC kits. I don’t recall why I removed them from my kits but I did remember that the scissors in these SwissCards are excellent. They are spring loaded which makes them very easy to use even though they are very small. They also tend to be very sharp and they stay sharp for a long time. Perhaps best of all, they only weigh about 7 grams with a small piece of drinking straw (more on that soon) and are 3″ long and 1/10″ thick. In other words, they are small and light enough to pack into just about any EDC, first aid kit or hiking bag. The scissors are spring loaded to rest in the open position, so if you are going to remove these scissors from the SwissCard to carry them on their own, you will need to find a safe way to store them. I use a small piece of drinking straw. The scissors slip right into the straw which serves to keep them closed. The straw seems to be more than durable enough for this application. It is also very, very light weight. These scissors are widely available online as replacement parts for around $7 a piece. At that price, you can afford to pick up a couple to stash in all your kits.